The destination of the techinque. 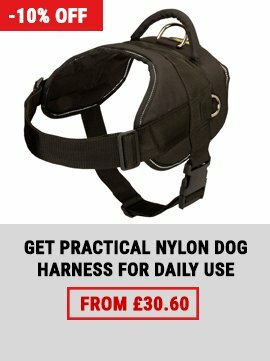 This technique is necessary for working dog activities as for guard dogs so as for sniffer dogs. 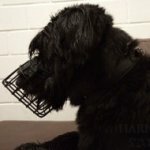 The aim is to educate the dog to respond to the noises and rustles, which are made by strangers in a certain way - to prick up, to alert silently about strangers moving closer and their apprehending. 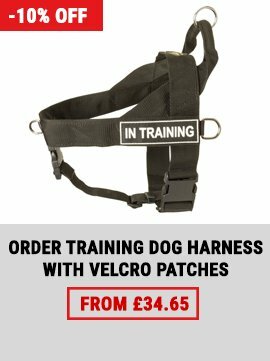 The attentive dog trainer, which knows his dog inside out can identify the changes taking place around from the changing behaviour of the dog being on the guarding beat. He can identify the presence of strangers there, where he keeps guard and take necessary steps to apprehend them. 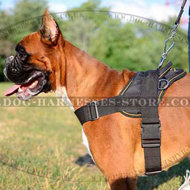 The dog command "listen" and a movement - right arm throwing towards the noices and rustles source or toward the person appearing are used as conditioned excitors. 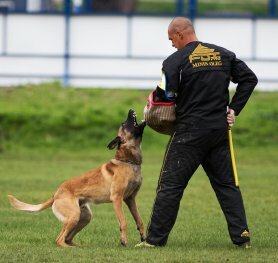 It`s necessary to bear in mind the next general condition before starting to teach the dog this technique, that makes the contact between the dog command "listen", movement and certain dog behavior (pricking up). Pricking up of the dog is nothing but showing of orienting response to the situational change, its newness. This orienting response is called a research reflex. Every time, when changes happen around (new sounds, scents, objects appear) the dog shows the orienting response. It is expressed in the form of a certain change of the dog`s behavior which is called pricking up. When the dog picks up it lifts up its head, moves its ears, looks in the direction of a new irritant. 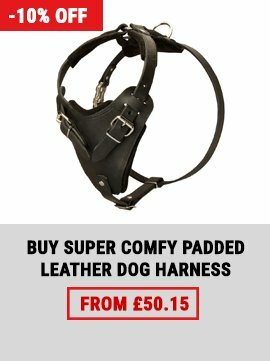 This dog`s response is used in a guard service. However, every dog expresses orienting response isn't equally, besides, it`s easily getting dull, disappears if these changes of environmental situation aren't connected with any biological significance of these changes for the dog. The dog pricks up at any rustle. If this sound is repeated several times, the pricking up response will decrease and, finally, will disappear. Another matter if this sound is a signal of any activity of an animal, for example, attack or defense. In this case pricking up response doesn't disappear with repetition and on the contrary, becomes stronger. The dog perceives such a sound as a signal, if it`s connected with the stranger approaching. 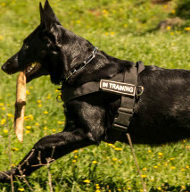 However, there is a need in prior dog training to form a conditional, temporary connection at pricking up to turn this sounds into signals. 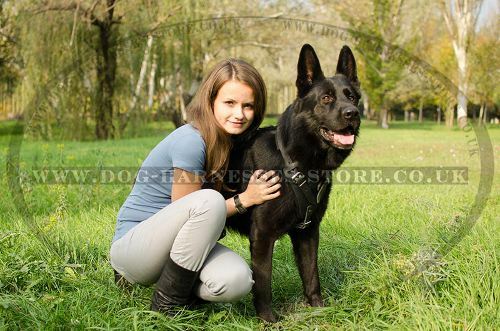 In view of this the guard dog is trained to the helper, which attacks the dog, threatens it as in the beginning of the dog training so as in further training. These actions of the helper cause anger and active defense reaction in dog. At a number of such combinations the dog is got a certain connection — a conditioned reflex on rustles, noises which she responds a certain behavior - pricks up or attacks the stranger. 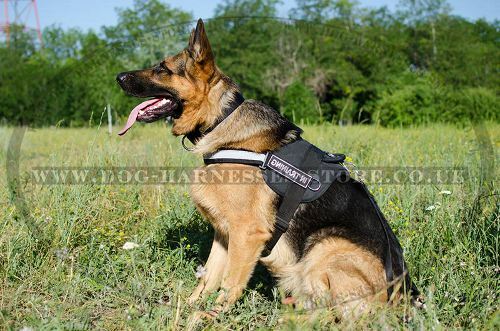 for guard dogs: anger development and apprehension, convoy and territory search. Thus the territory search and convoy for guard dogs before starting the quarding service are practised not in full. 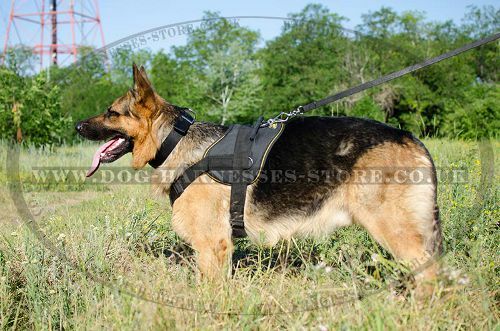 The convoy is practised only on a dog lead, and territiry search is practised only at initial stage of guard dog training. These techniques are practised completely in parallel with a guard service at a later stage. 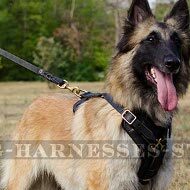 The best working dog harnesses, click on the pictures! 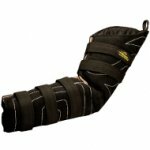 Choose professional equipment for guard dog training. 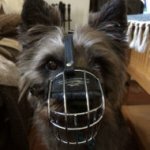 Read also our article about dog bite training.